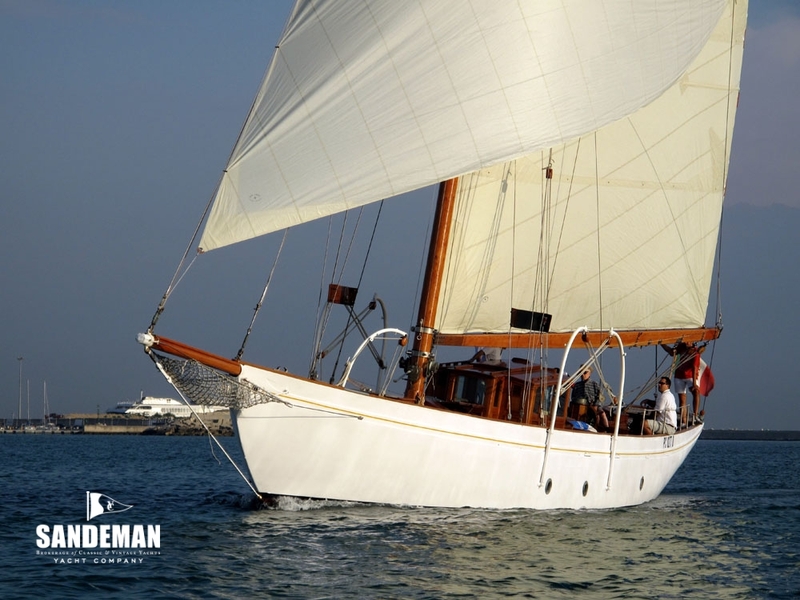 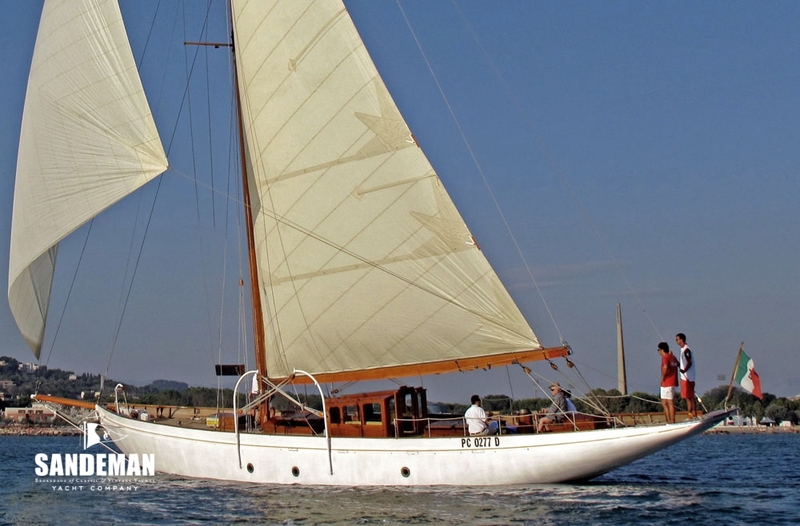 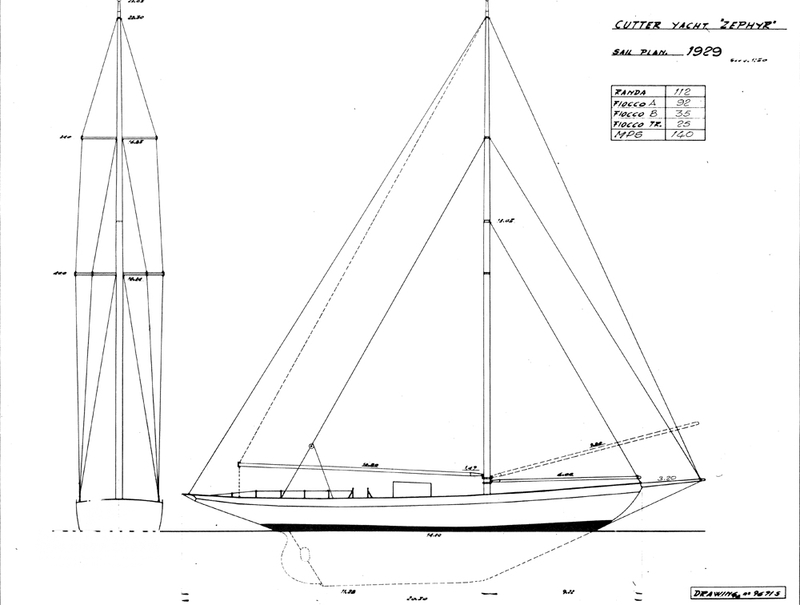 Joseph Soper is probably best remembered for SATANITA, a cutter legendary for her speed - and a "fair turn of speed" is one of the properties noted by the yachting press of 1929 for this creation by Philip and Son from another of his designs. 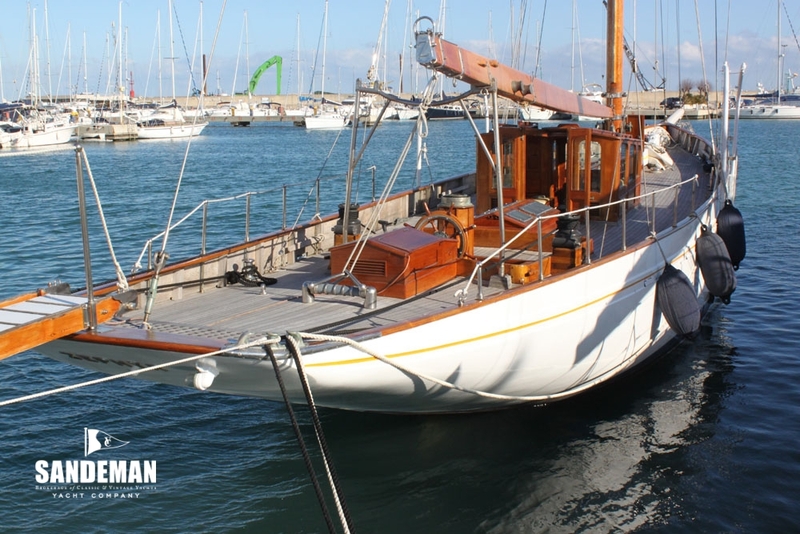 ZEPHYR was moreover conceived as an able sea going cruiser and at 62 foot on deck she’s the perfect size for a family yacht of this vintage. 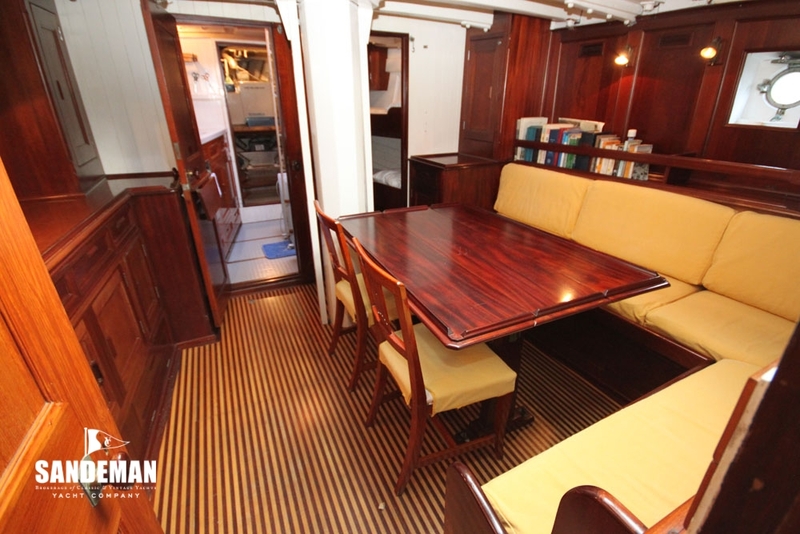 In impressive condition and a considerable beauty, her forte is nevertheless in the sheer practicality of her layout, rig and accommodation – to which her ownership by the same family for more than 40 years is testament enough. 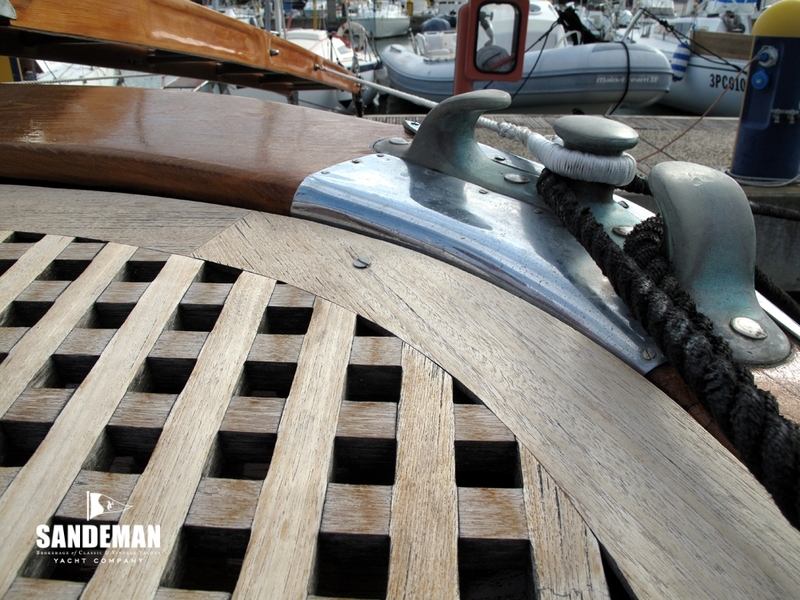 This magnificent yacht, designed by J.M. 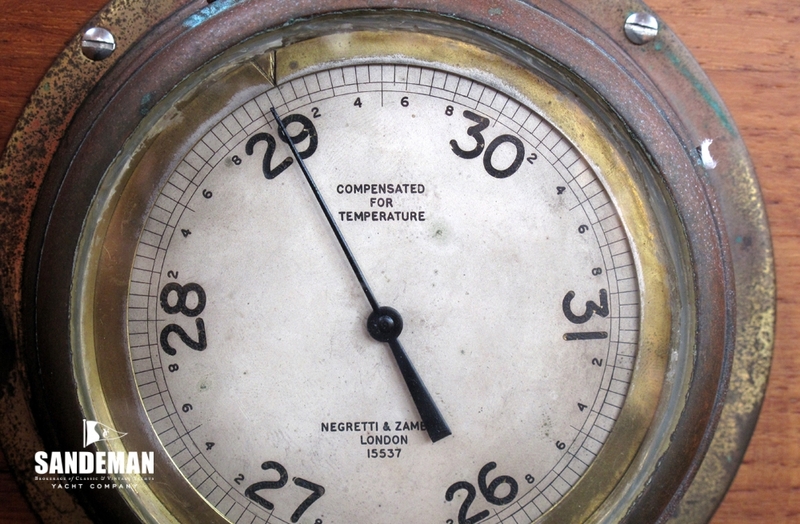 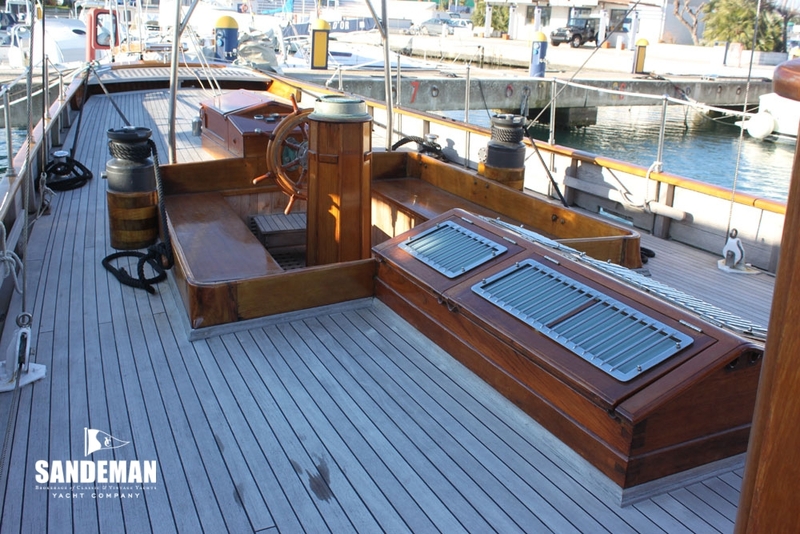 Soper & Son in 1928, was built in Dartmouth in the famous Philip & Son shipyard for H.B. 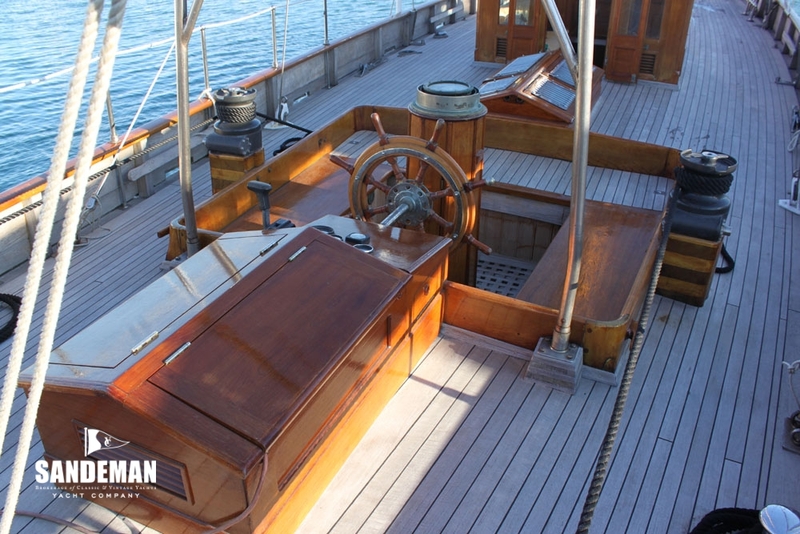 Ede of Dartmouth, mainly built in teak with steel ribs, launched in July 1929. 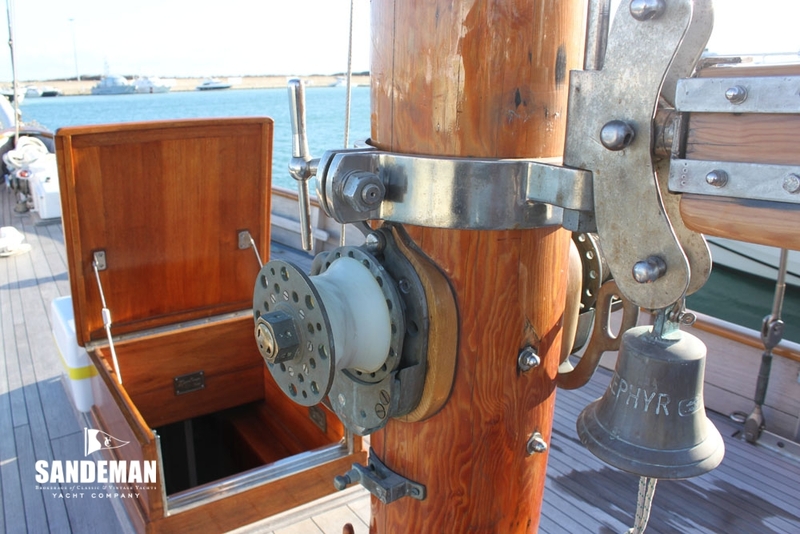 In her early days ZEPHYR carried two boats on deck, these were a 12 ft cedar planked motor launch and a 12 ft sailing dinghy with centre board, for which the davits, which survive to this day were provided. 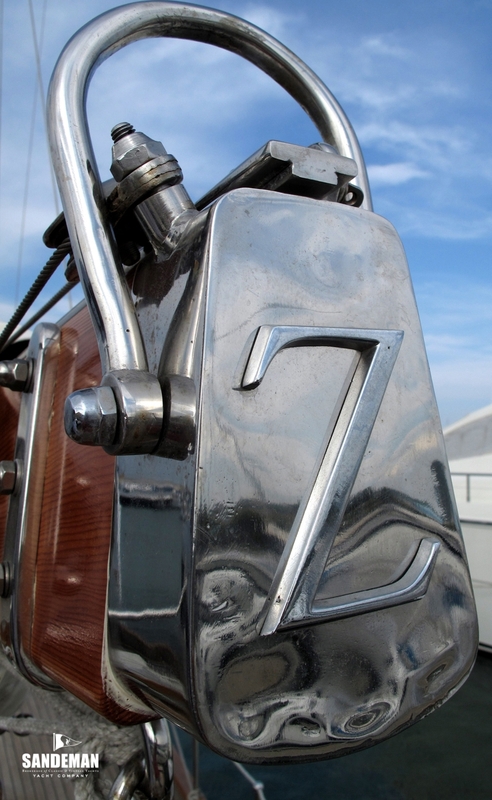 Apparently ZEPHYR had arrived in Italy in the 50s owned by Marquis Giacomo De Santis of Rome. 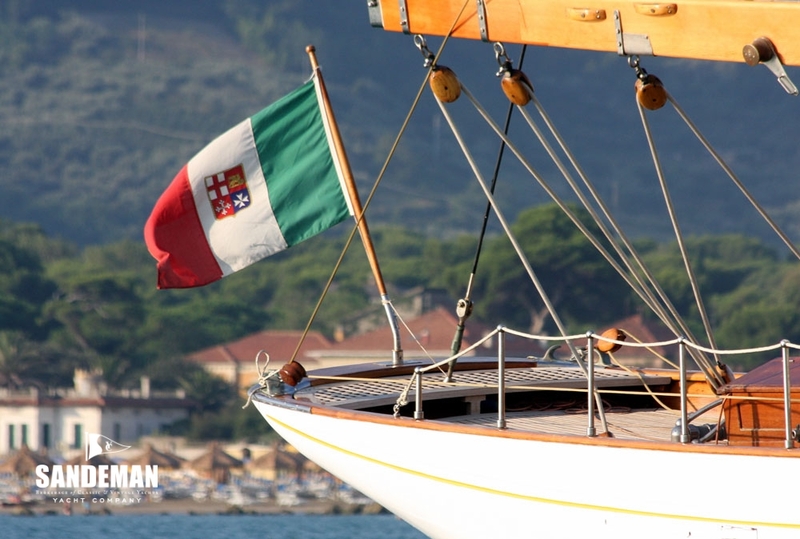 In 1957 she became the property of the Marquis Giacomo Dusmet and in 1963 of Doctor Bracci -Torsi of Rome. 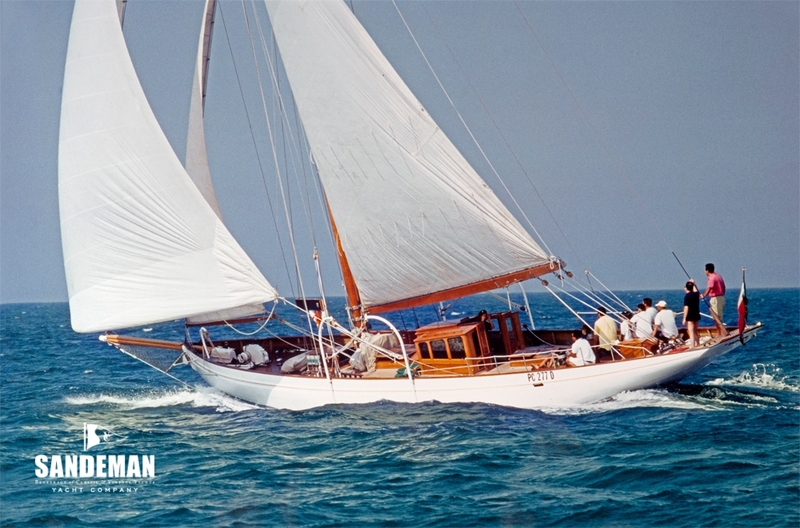 In 1965 she was at the Versilia Boat Club of Viareggio and in 1969 she went under the Panama flag of Yen Bay Enterprise Inc. and although the owner Renè Paolanc of Milan was President of the company, in the Lloyd Register of 1966 she was registered to Club Nautico Versilia and home port Viareggio. 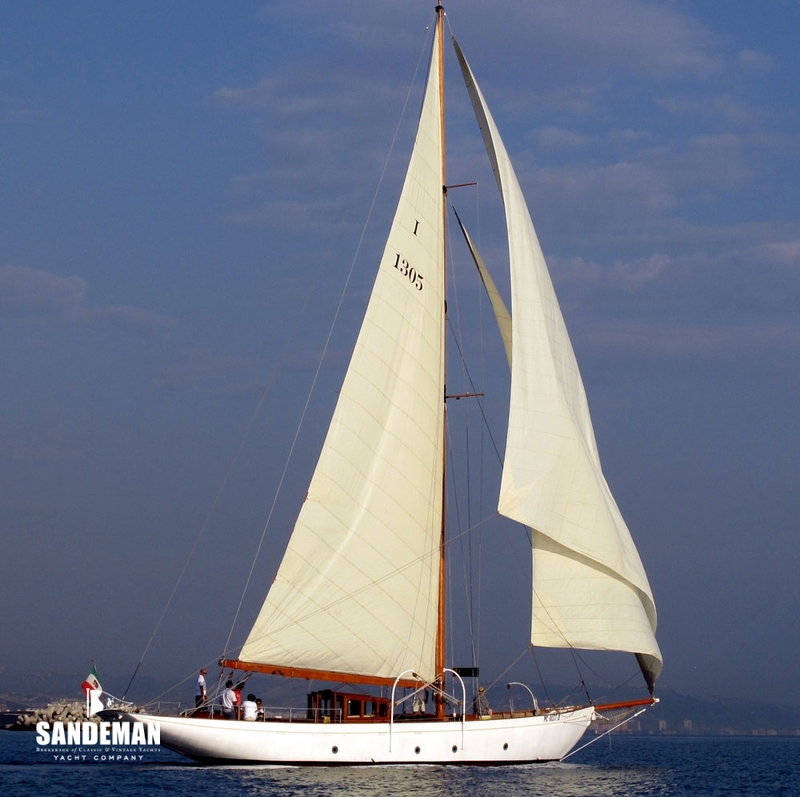 It was in 1972 that Dr Carlo De Carlo bought her and then replaced the cotton sails with Dacron, along with the electric wiring and the propeller. 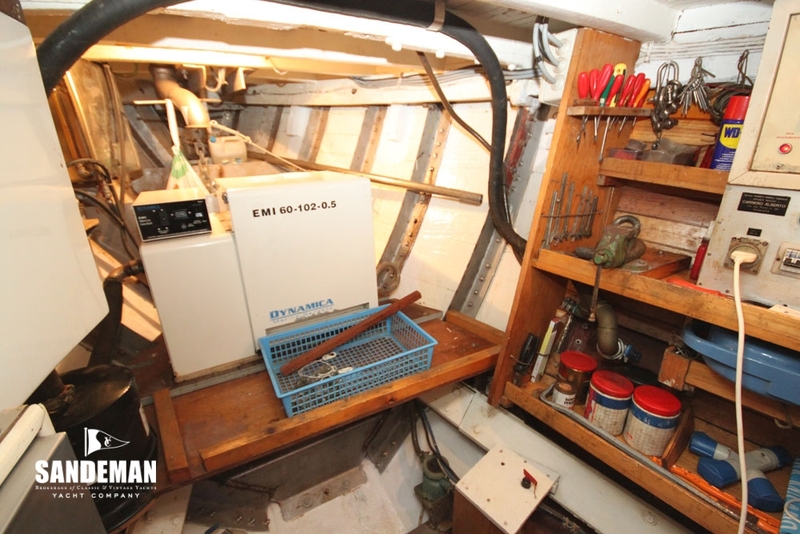 In 1985 he replaced original ribs with stainless steel, installed a generator, fridge and all the electronic equipment up to date. 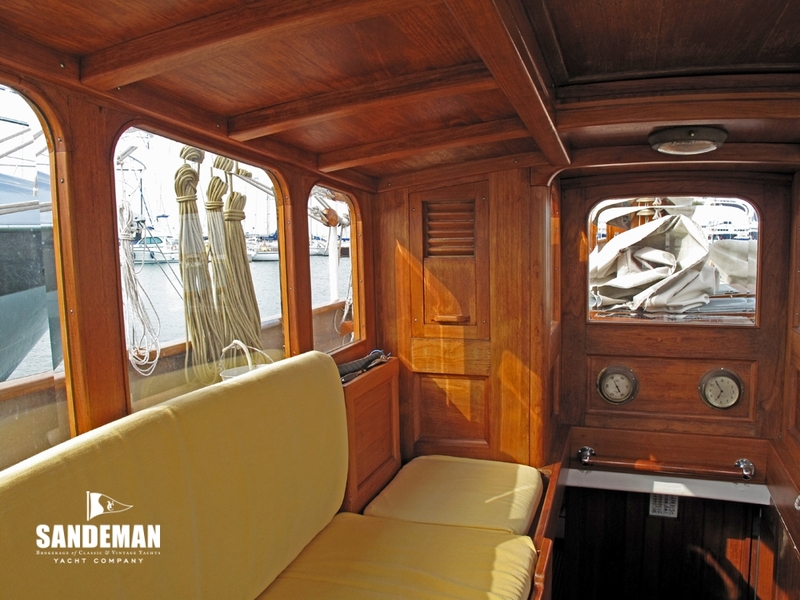 At that time the original tender (wooden 12 ft. boat) was replaced with an inflatable dinghy with Evinrude 15HP engine. 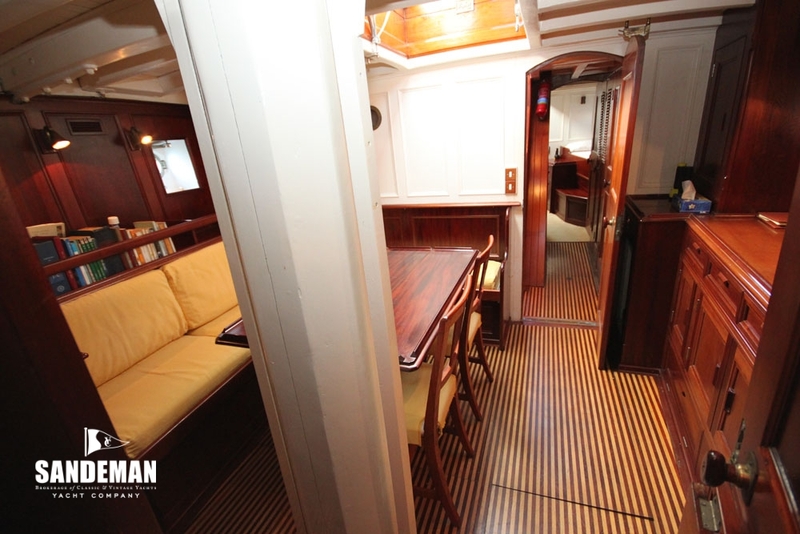 Over the years he had maintained her making renovations, restyling and installing new systems and equipment as needed. 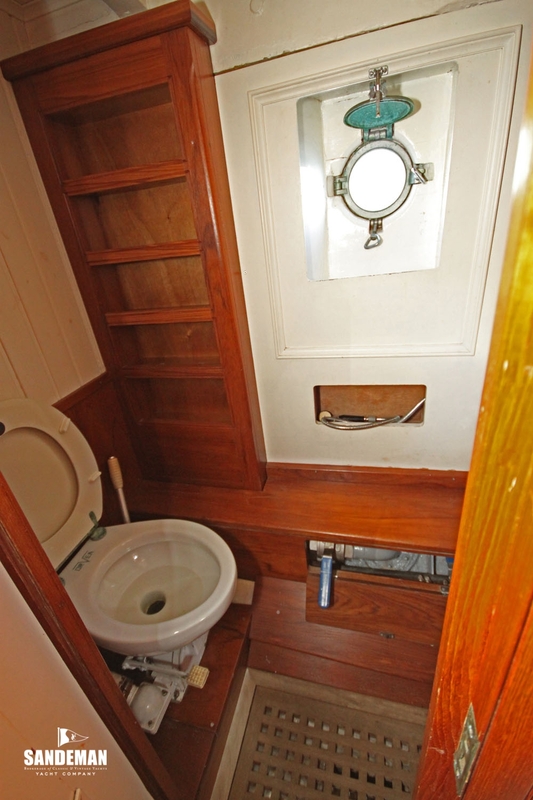 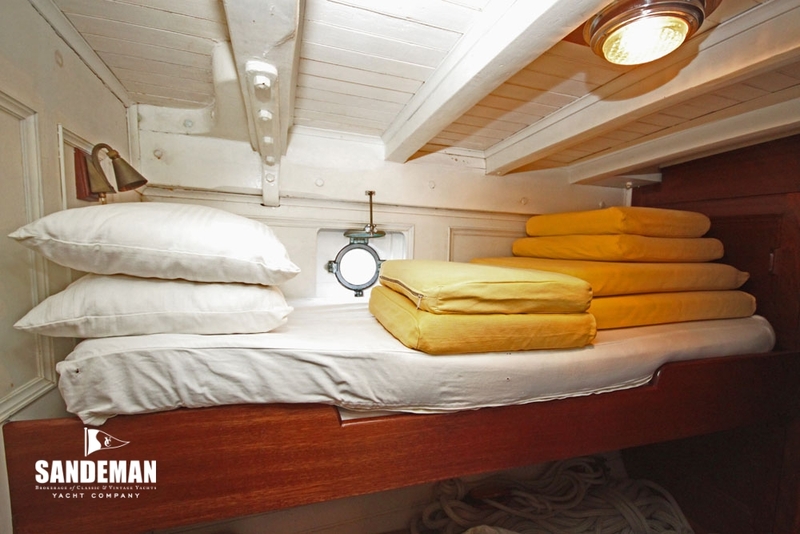 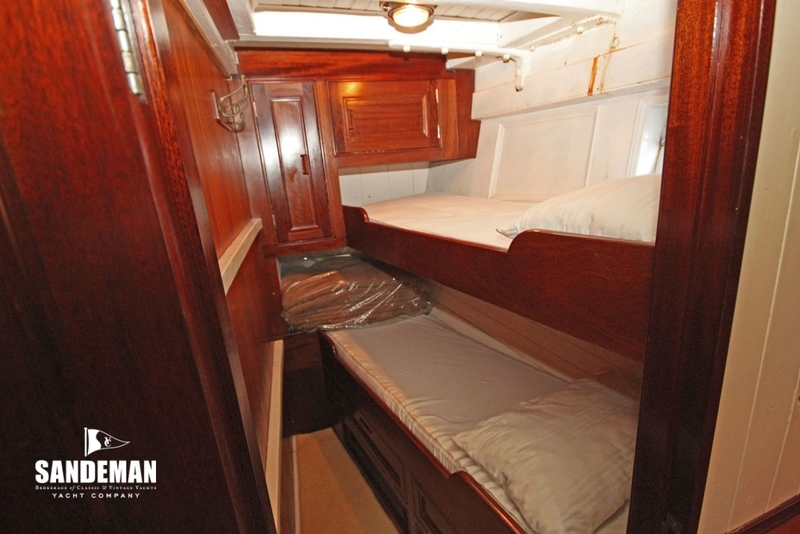 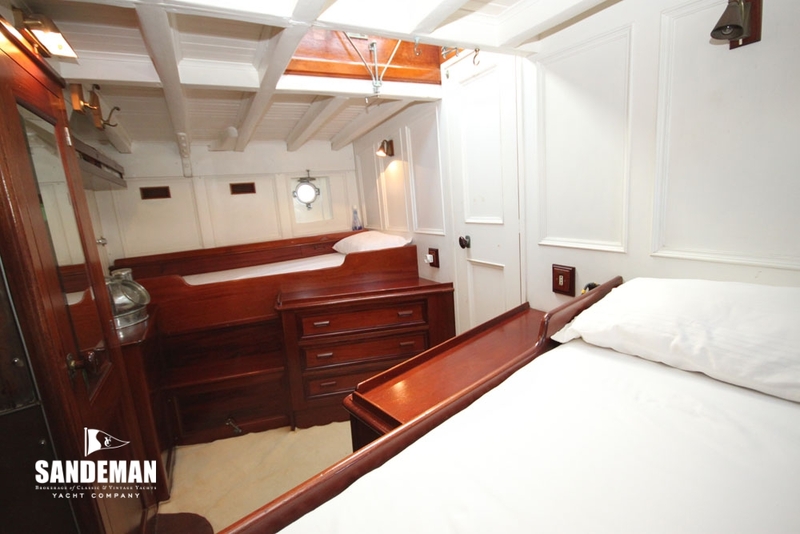 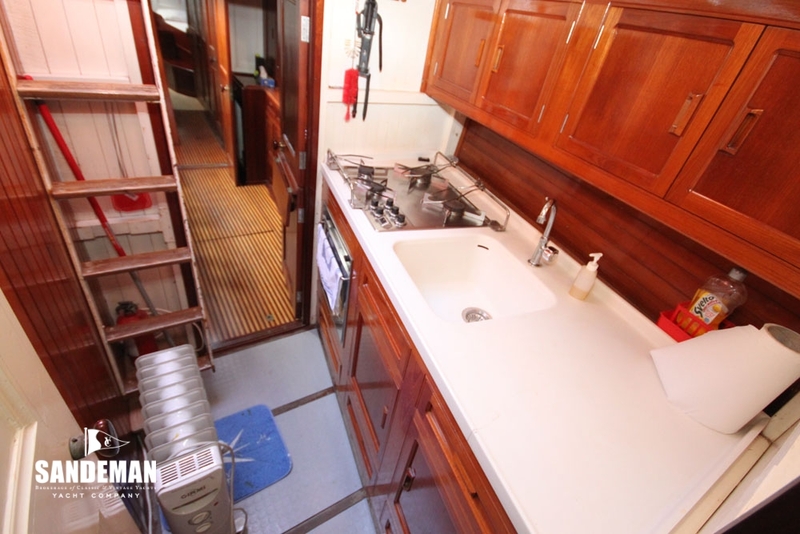 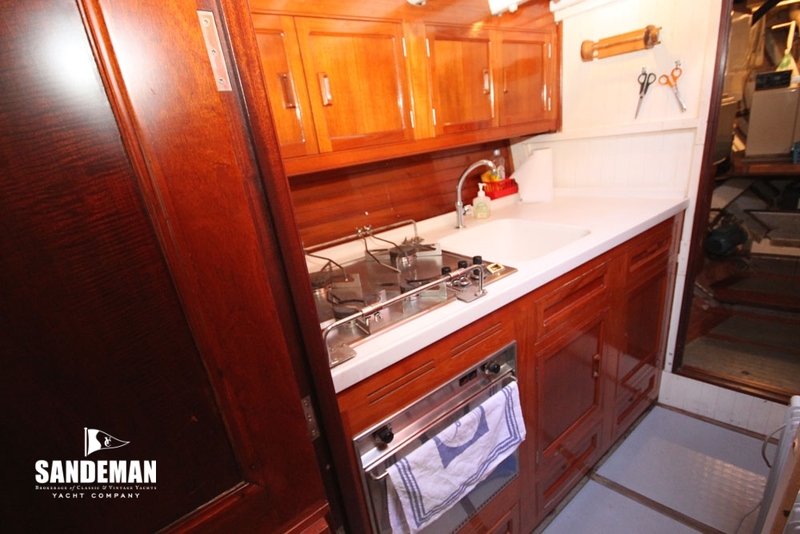 From the original plans (project n°9603) it is clear that the original main access to the cabins has been changed and access to the main deck is now by a ten step companionway staircase, was designed with the clear intent to separate the master accommodation aft with two double cabins and en suite head, from the crew in the bow area with three hammocks and a separate head. 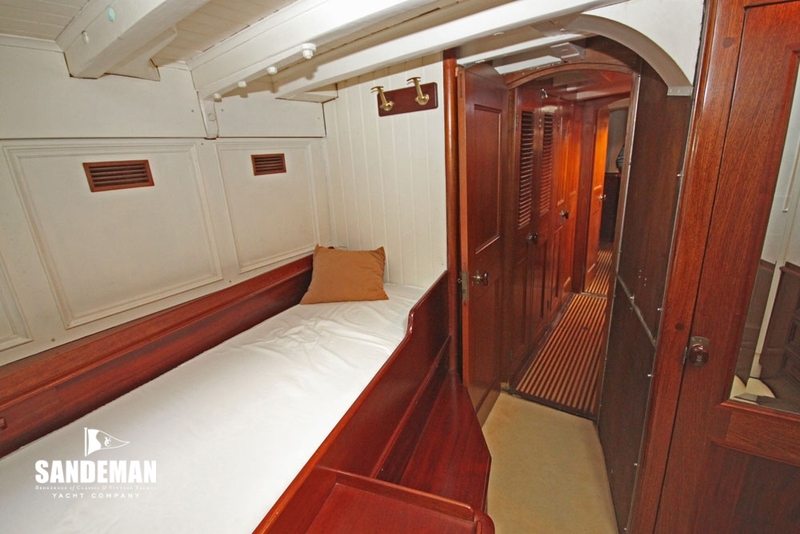 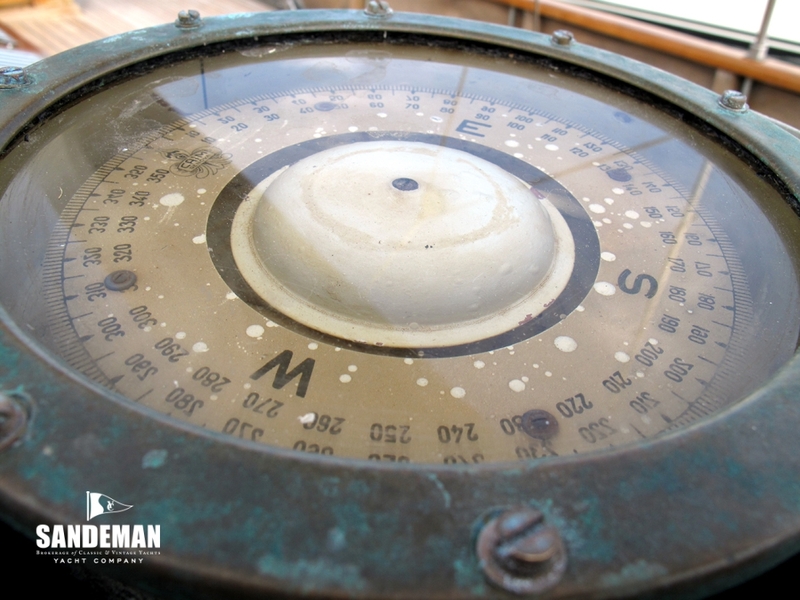 After 1960, the relationship between owners and crew changed very much leading to a complete transformation in the bow, where now there is a cabin with two berths and a proper galley. 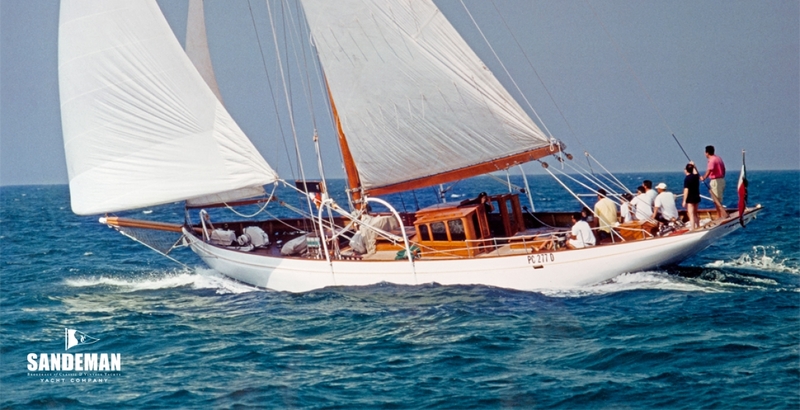 Built to Lloyds 100 A1 Classification under their special supervision ZEPHYR was of semi composite construction; steel framed with carvel 5 cm teak topsides and pitch pine bottom planking with a semi elliptical counter stern and overhang bow. 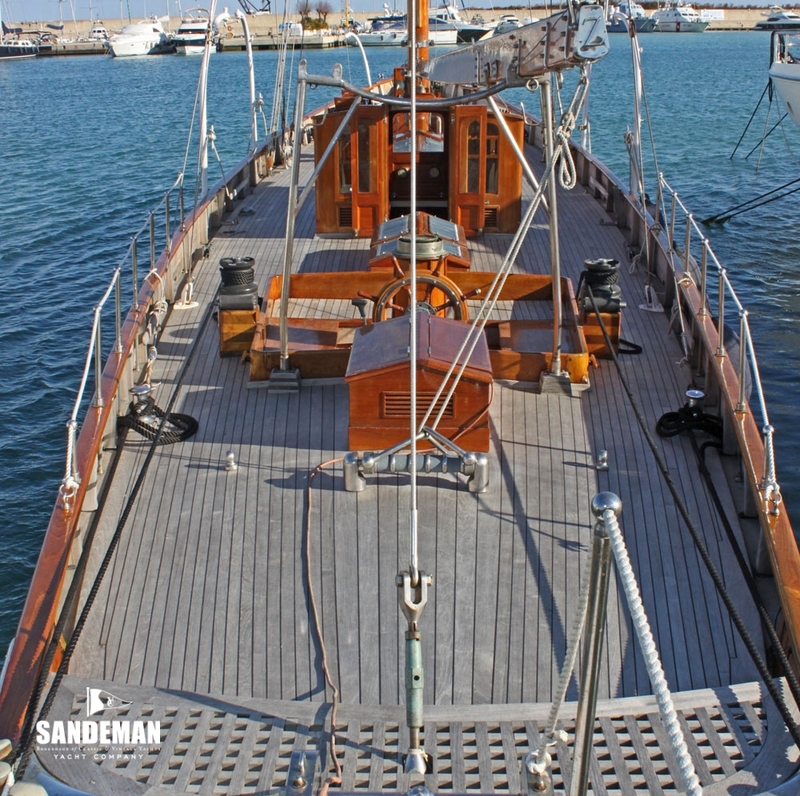 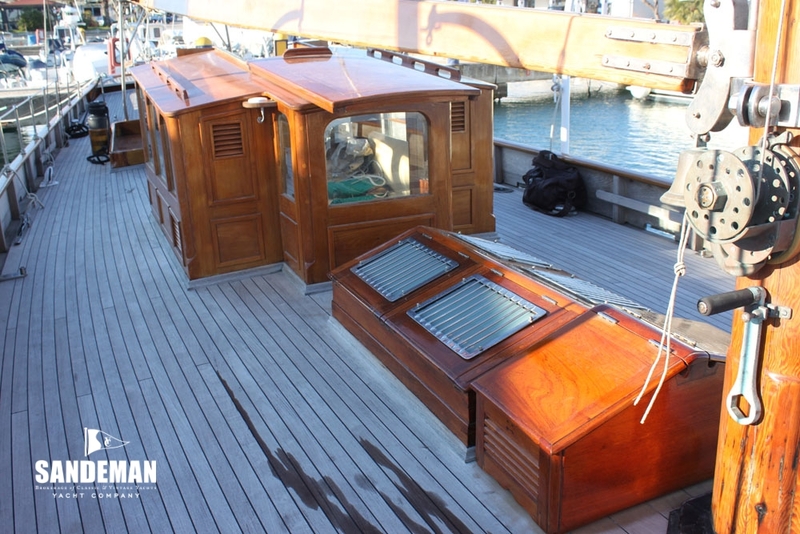 The teak deck planking was laid over a yellow pine subdeck. 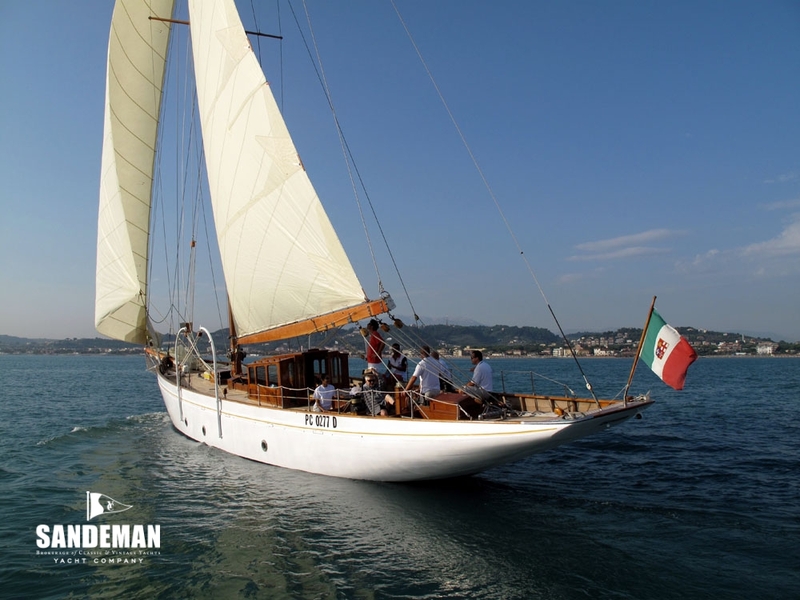 From 1985 to 1990, in successive stages, many of the original ribs, mainly aft in the boat have been replaced (by Navaltecnica in S.Benedetto del Tronto) stainless steel 306 mm. 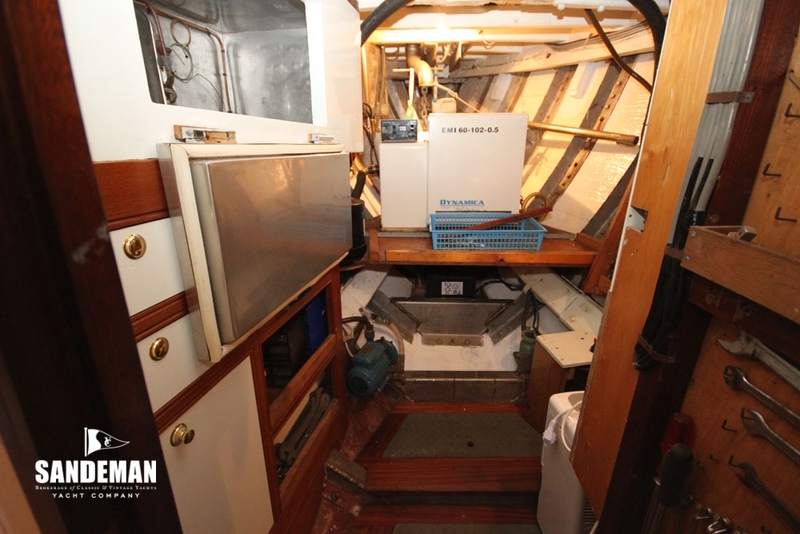 6 x 60 x 60 x 60 ”Z” sections. 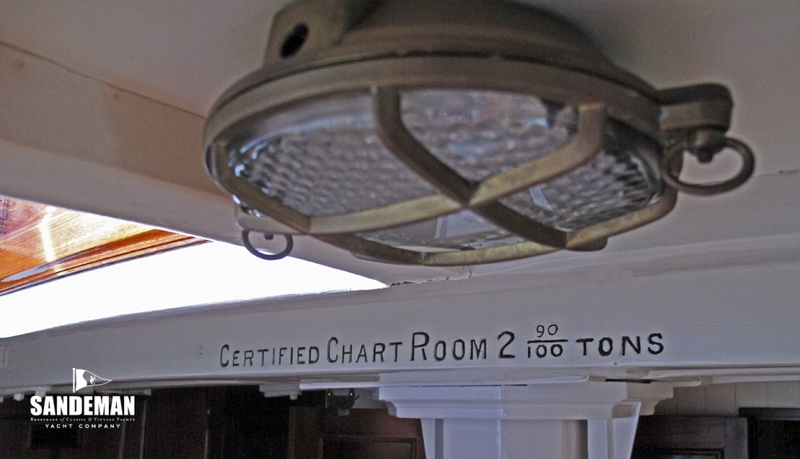 Seven of the original frames found to be in impeccable condition remain and the original planking also in exemplary condition has been preserved and put back over the new frames. 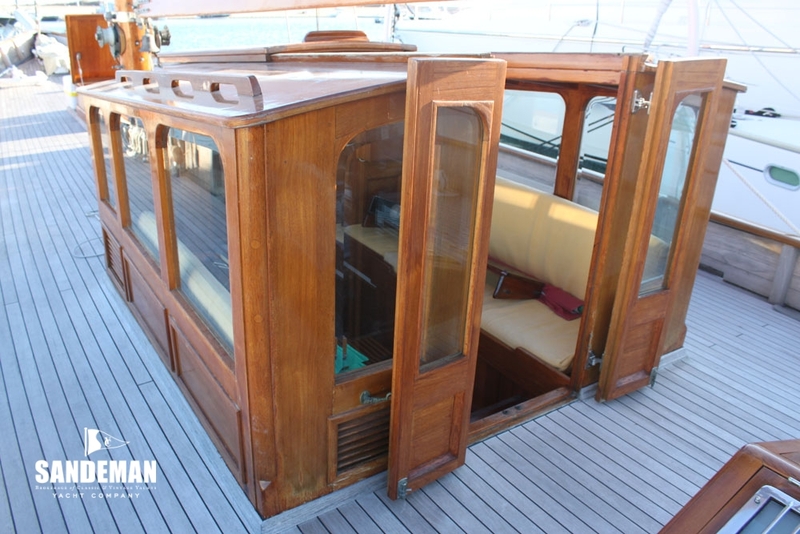 In 1994 Marco & Franco of Pineto and La Riccia of Pescara (for some parts) undertook other substantial refit work including, remaking the new teak deck (15mm. 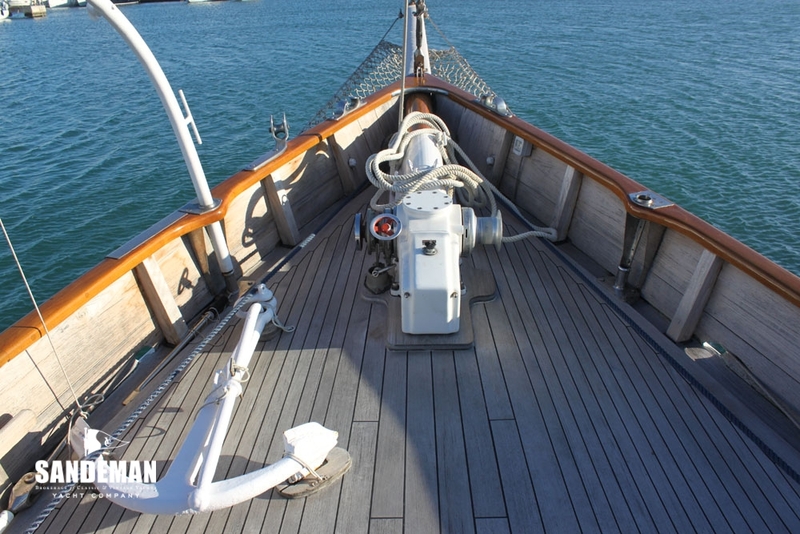 teak over an 8mm. 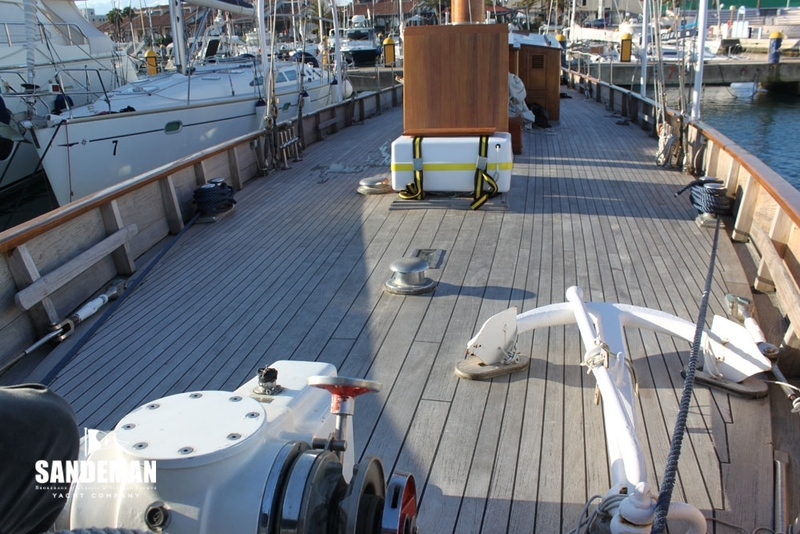 marine plywood layer) over the existing 25 mm teak one as well as creating a new deck house and cabins. 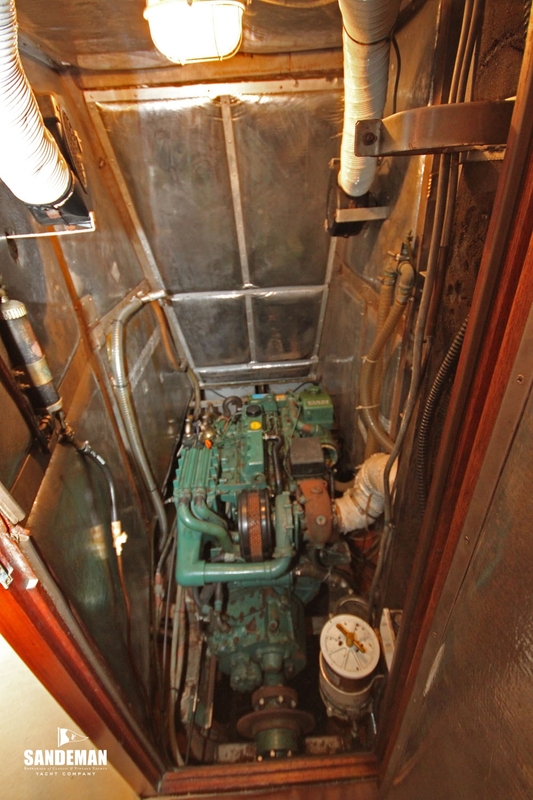 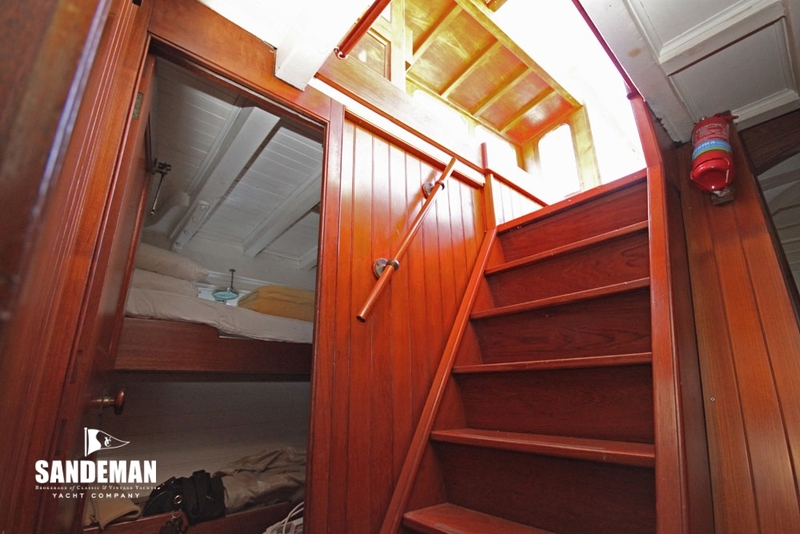 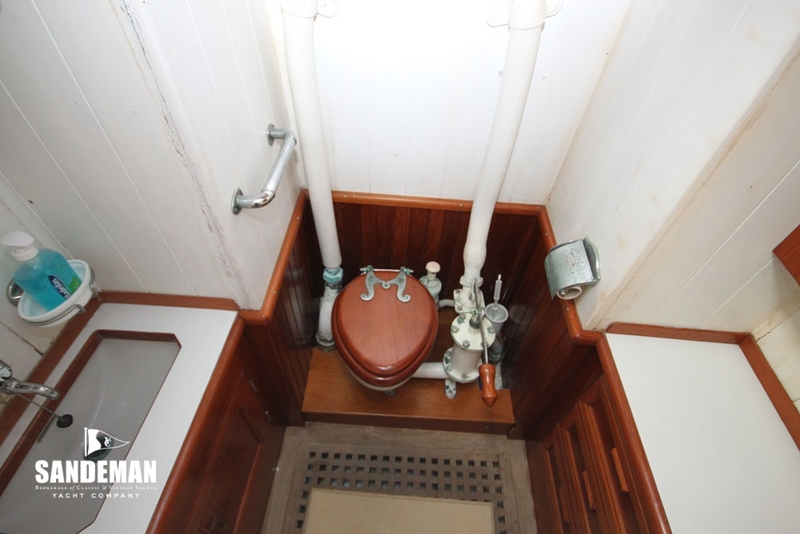 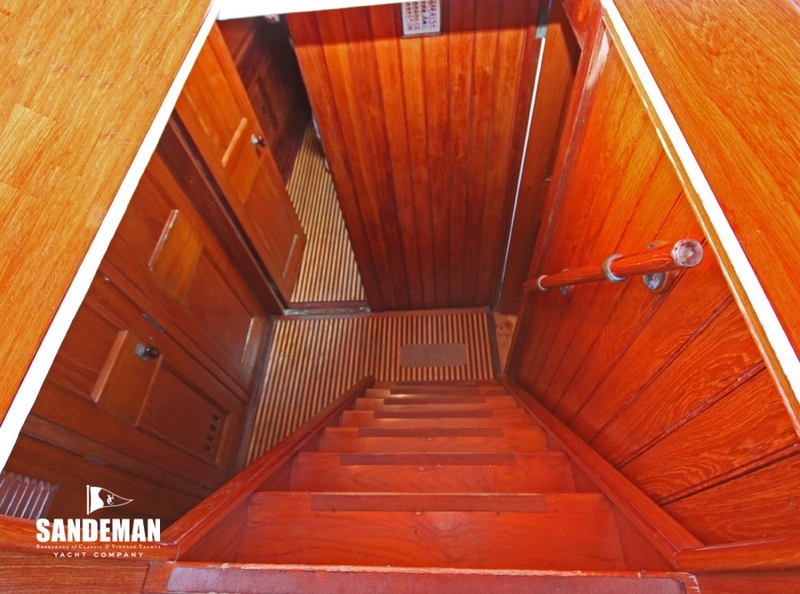 Access to the accommodation below is via the deckhouse and teak companionway stairs over the engine room - as well as by hatchway for’ard. 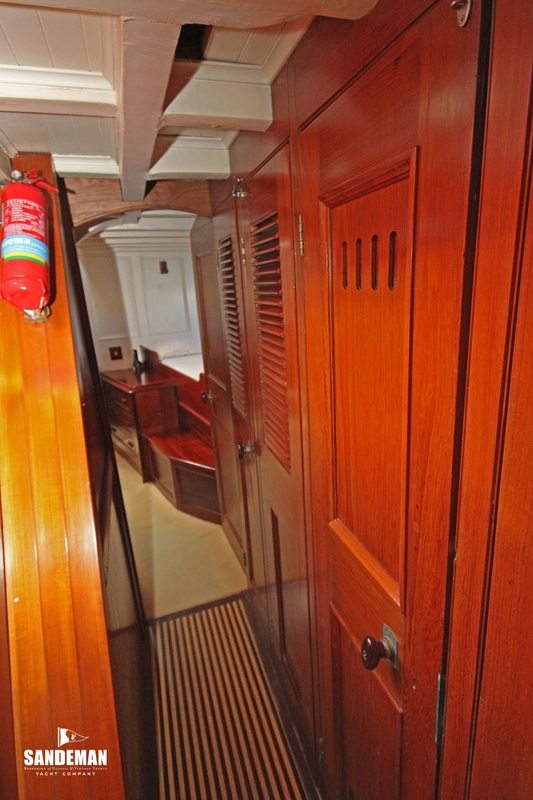 The deckhouse itself has enough space to sit six people or rest two, very useful during night watches at the helm, leaving the sleeping guests undisturbed. 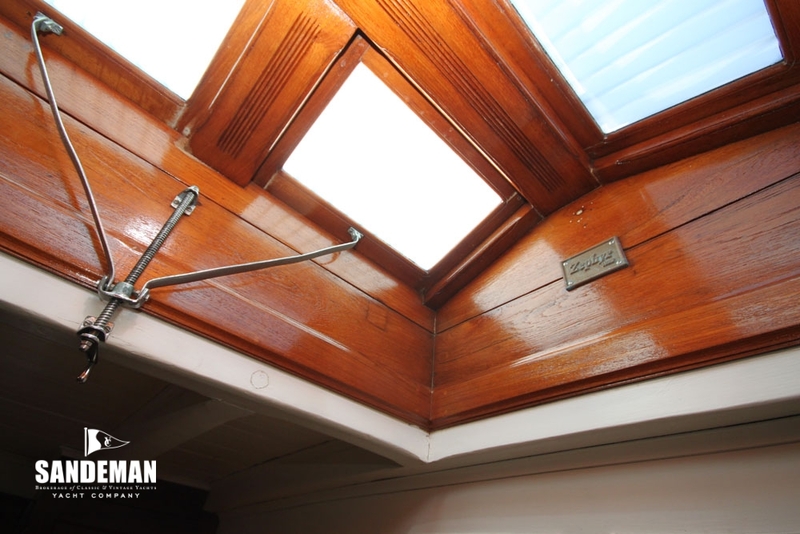 The wide windows provide excellent all round visibility and very much light inside. 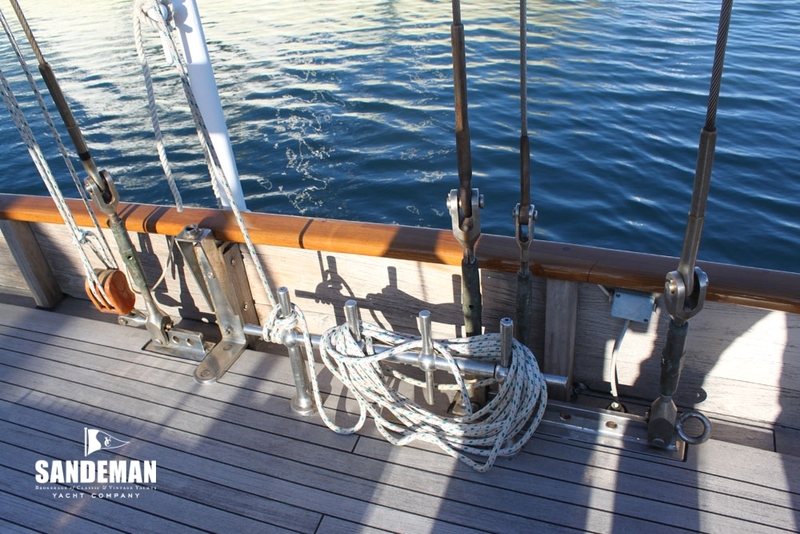 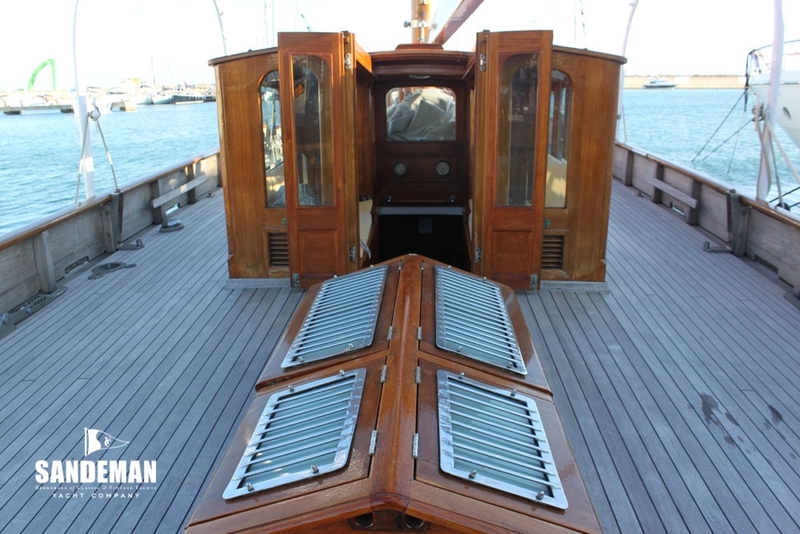 The deck has all round high bulwarks of raw teak with varnished teak handrails. 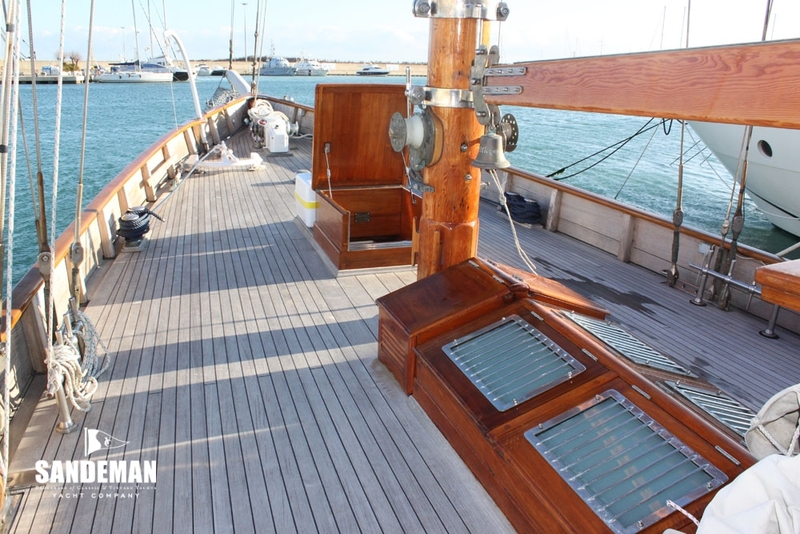 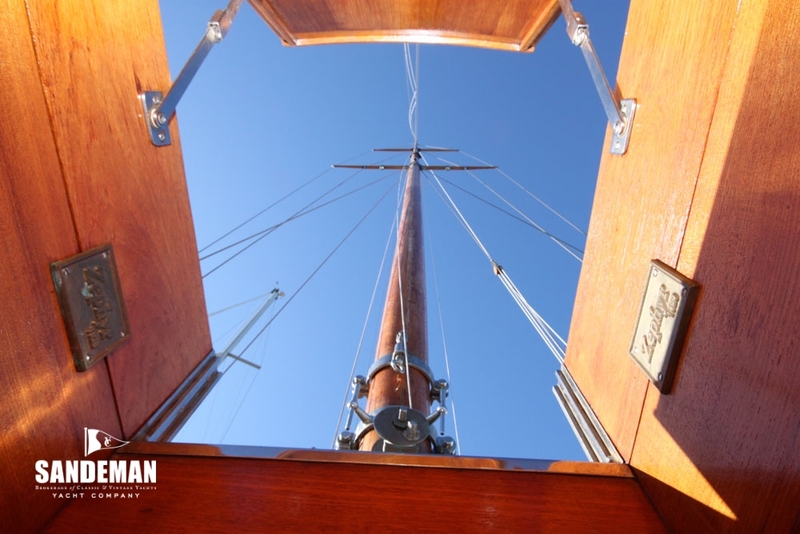 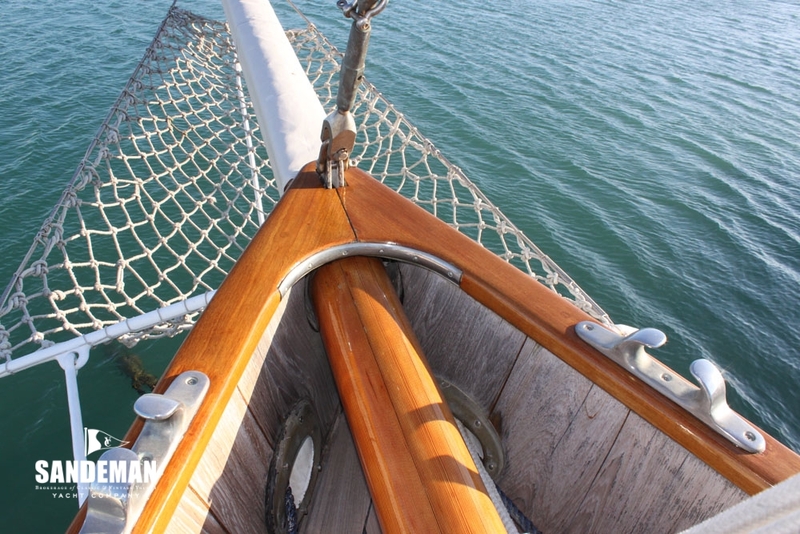 From the generous after deck with teak grated seating, the cockpit lies for’ard the chromed anti shock mainsheet horse and teak deck box containing the original worm gear direct steering and engine instruments.